When will be Mary Berry Everyday next episode air date? Is Mary Berry Everyday renewed or cancelled? Where to countdown Mary Berry Everyday air dates? Is Mary Berry Everyday worth watching? 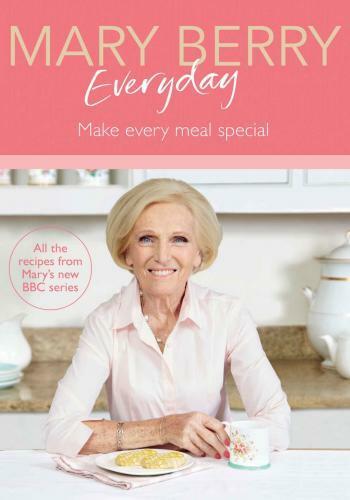 Mary Berry celebrates the everyday food and ingredients she has always loved to cook. Mary opens her garden to host a village fete and shares her brilliant flair for turning easy dishes into spectacular crowd pleasers. She is visited by two passionate brothers for a lesson in the secrets of authentic Italian pizza making. This is indulgence at its best with Mary's mouthwatering dishes that give the everyday a lift with lashings of naughtiness. Treats are in store as Mary pursues the history of the Great British pie and tempts us with the secret to an easy sticky toffee pud. Mary shares some inspirational ideas to make everyday family meals exciting with fabulous no fuss dishes. She tries her hand at milking a goat and shows her granddaughter how to make her own goat's cheese for a family picnic. Mary shares some inspirational ideas to make everyday family meals exciting with fabulous no fuss dishes. As Mary and her husband reach their 50th wedding anniversary, it's time to push the boat out. She shares her secrets to surprisingly easy showstoppers, recreates canapes from the 1960s and finishes the series with sparkle. Mary Berry Everyday next episode air date provides TVMaze for you. EpisoDate.com is your TV show guide to Countdown Mary Berry Everyday Episode Air Dates and to stay in touch with Mary Berry Everyday next episode Air Date and your others favorite TV Shows. Add the shows you like to a "Watchlist" and let the site take it from there.